Showrooms, offices, shops and warehouses: a very ambitious project for this young and dynamic clothing company from Bologna. 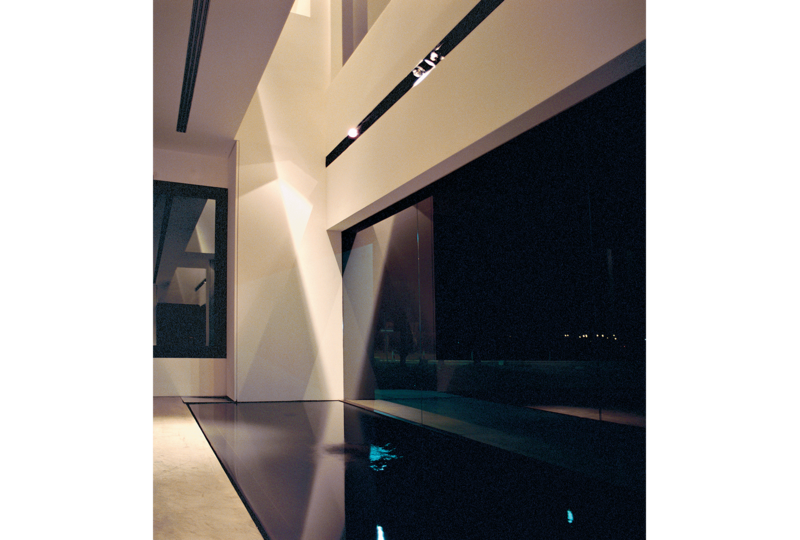 Also in this project a clear and simple architecture was the answer to the noisy fashion world. 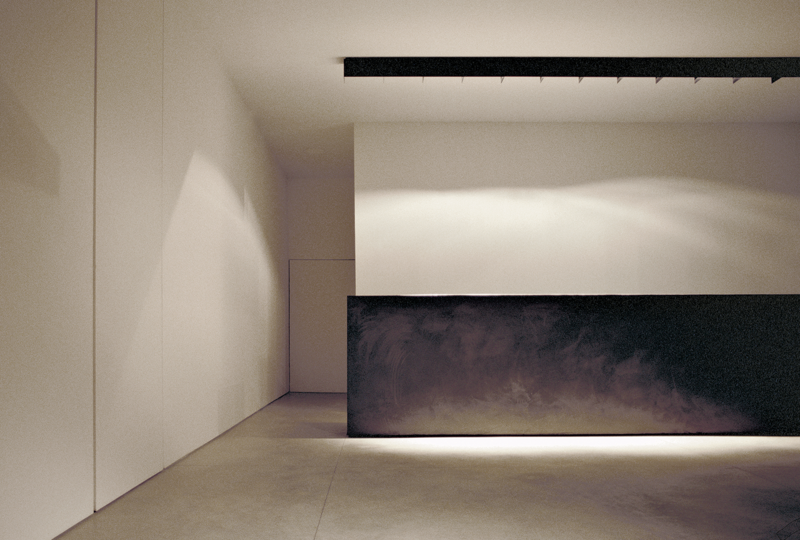 Few measured gestures, few colors and materials, only a counter that as a Richard Serra sculpture invades the entrance hall space. A tank of water records the fall of a little drop from the void of the top floor, drawing small concentric circles of vaguely zen inspiration. 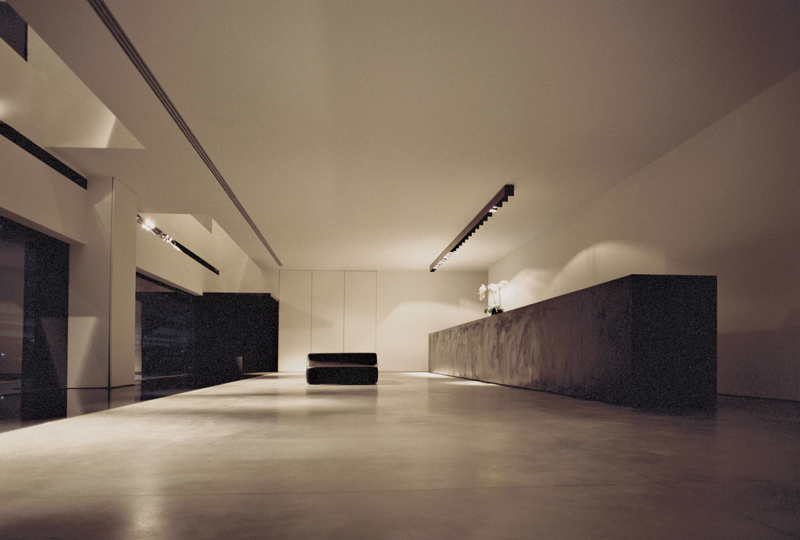 The rest of the project,as in an art gallery, is the white of the walls and the grey of the floors.